Frédéric Méchiche’s loft, part two. I am so happy to share a set of more recent photos from Interiors magazine. They were brought to my attention by D16 reader Avant-Gardenist, who maintains the fabulous Flickr pool h ♥ m e.
My earlier post on Méchiche’s loft (with commentary!) can be found here. Society6 “In Flux” bedroom + workspace lookbooks! 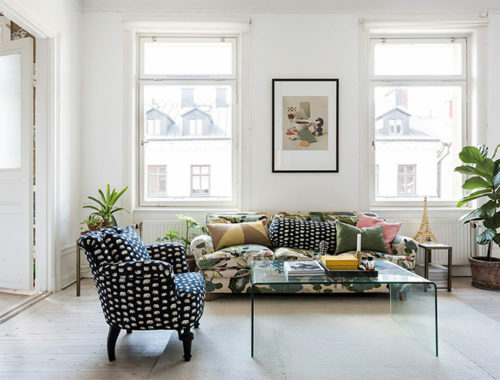 looks like a great space, plus it’s got almost all of my favorite chairs. W-O-W. Transplant the first 5 photos into my house right now. absoluteley gorgeaus. I adore the two paintings of arms in the 2nd photo. The way they reach out is so appropriate. I think that the more gorey paintings work in this house because the background is so soft and frilly. dig the home. i love homes with art- REAL art (whatever that may be) in them. Amazing inspiration! I love the subtle colors, the blacks and whites with the warm wood. My favorite combination! And the artwork are amazing! 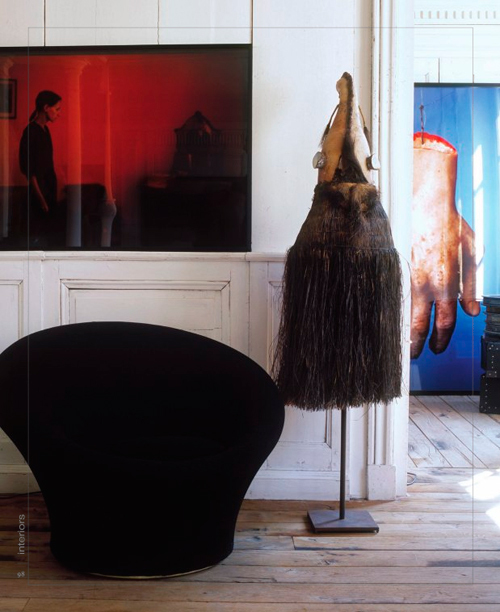 Gah – I love Nan Goldin! 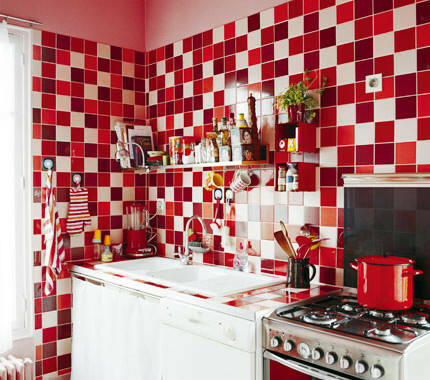 This space is my dream! This space is unreal. That bathroom is so ill the brass fixtures and that floor!! Be sure to check out the original photos of . I love those wood floors! So much to look at, yet it isn’t overwhelming at all. Thanks Avant-Gardenist for the link – the totally boring house following Mechiche’s simply magnifies his brillliance! I too have long coveted his apartment. I like some of the changes – more depth, a little less white ethereal. Not a fan of the photographic pieces he has chosen, but do like the shift of colour they provide. What is the last room? I want to BE that bathroom—that’s how much I love it! The first photo was inspirational! I need to go find some beautiful items to frame and lean against my wall….If only I had space! Anna, I can’t thank you enough for posts like these. I have it and several posts about your own home bookmarked in my Bloglines account and have been referring to them with frequency. By the end of this month, my husband and I will be a first-time home owners of a loft, and posts like this have me so excited. Thank you, thank you, thank you! 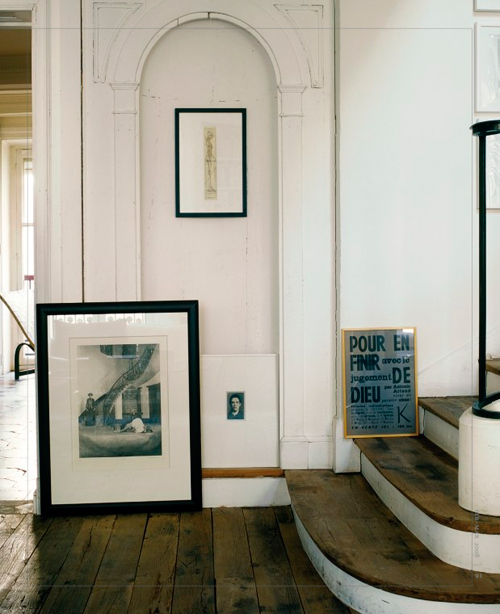 I love the stairs with the picture frames just left on the floor! We’ve moved in our family house last Friday and once the Xmas rush is over on our site, then I will spend HOURS reading my favourite blogs like yours to see what I’m going to do with the house. I CAN NO WAIT TO GET STARTED! 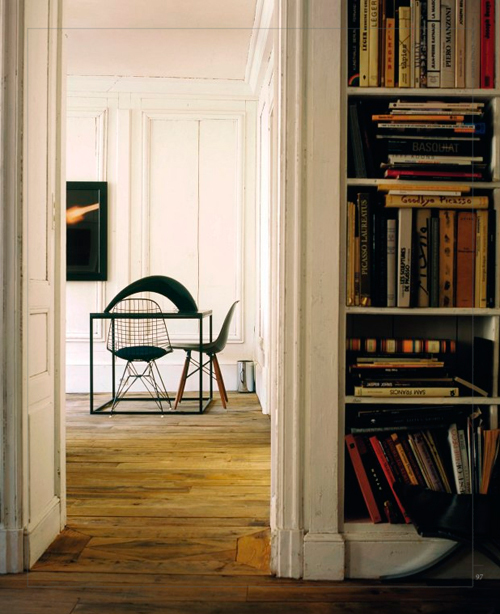 the floors make me swoon. samia: Which chairs are you wondering about? 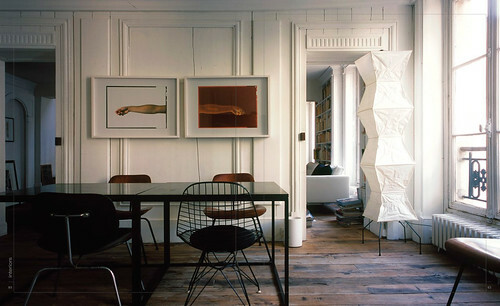 In the second photo (with the table), there are three Eames DCM chairs (wood with metal legs) and one Eames DKR (wire with “Eiffel” base). 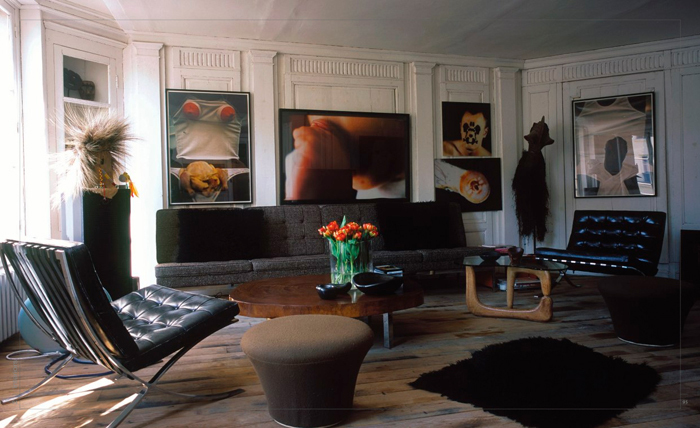 The upholstered leather Barcelona chairs in the third photo are by Mies van der Rohe. 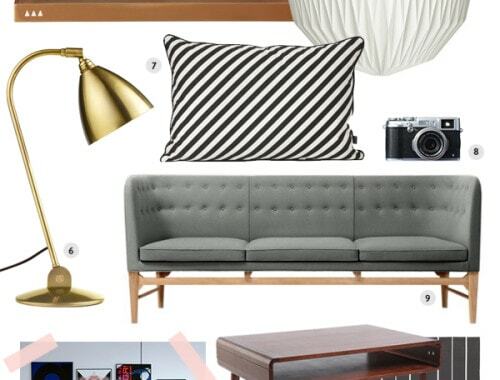 The fourth photo has another DKR and an Eames DSW (fiberglass shell with wood legs). 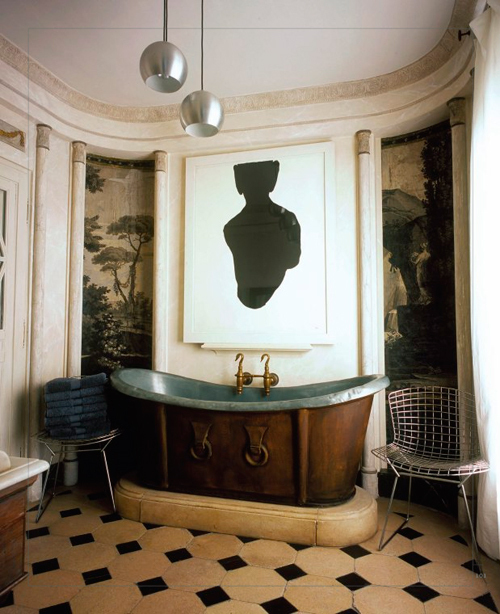 Next to the bathtub there are two Bertoia side chairs, and in the last photo, there’s an Arne Jacobsen Series 7 chair. OMG, my page is like frozen on what appears to be the most wonderfuly crafted room i’ve seen in ages. I absolutely adore the distressed yet sleek feel. Thank you for sharing! 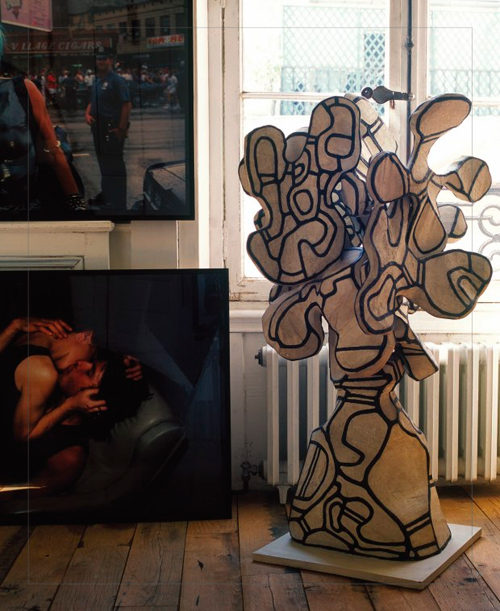 I love the way Mechiche places art and objects in a casually around the walls as if he has just moved in. So many designers decorate – Michiche does not. His environment does not look as they though the hand of a designer has been at work. Here lies the beauty and the strength of his design process. Your first order was while stydying. 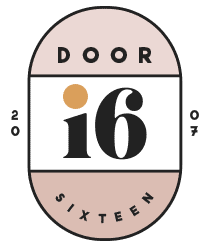 I loved the doors y designed..
Can y show a foto on internet of it. Can I have y mailaddress. 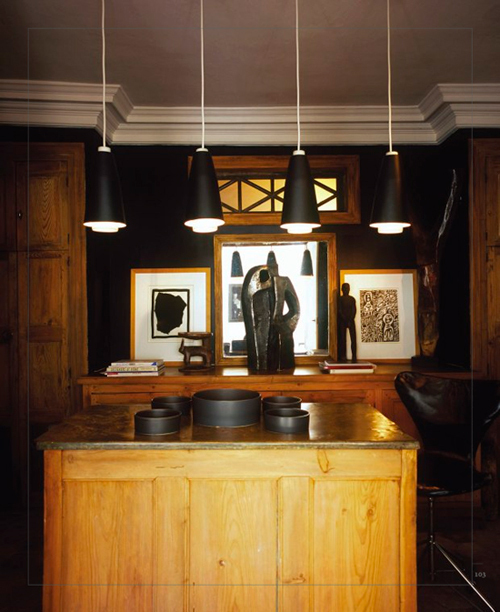 Dejong, this is a post ABOUT Frédéric Méchiche’s loft. This is not his website, and I have no way to contact him.